Storytelling + Research = LoiS: Give a Cheer for Summer Reading! 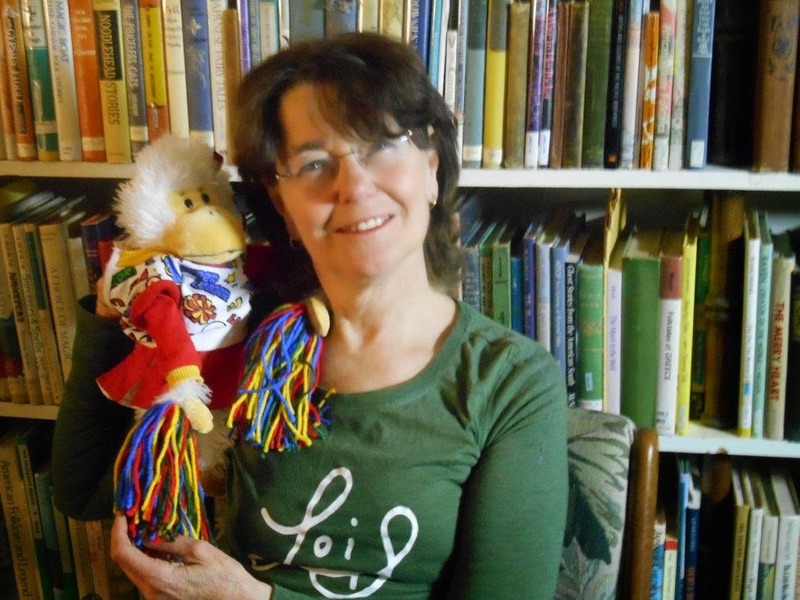 It all began with a very tiny cheerleader outfit; then I found Priscilla Gorilla hanging around a Garage Sale and knew I'd found a new puppet sidekick to join me whether for National Reading Month or Summer Reading as I Give a Cheer for Heroes in the 398s! As winter starts to punch its way in, it's always great to think ahead to summer! The multi-state library cooperative for summer reading programs in 2015 featured heroes. 2016 will continue those stories as they are all based on various sports. This is why I especially thought about those heroic aspects so often found in folklore. Of course I always have lots of stories filled with male and female heroes from folklore, BUT that cheerleading idea started to um, er, well . . . Snowball! Priscilla already is looking forward to her debut, but in the meantime here are cheers for libraries, reading, and especially Summer Reading. Because this also works for reading at all times of the year, some have alternate wording beyond summer. Rah, rah, rah, and a Sis Boom Bah! All who love reading will go far! I'm on the (Summer) Reading Team! Be a Summer Reading star! LoiS-sez@LoiS-sez.com and you can see more about Summer Reading and my other programs at http://www.LoiS-sez.com -- come and look! Love your cheers! Thanks for sharing!